Kate and Chelsie: Traffic Stopping Cocktails for London Fashion Week- At The Botanist; Sloane Square. 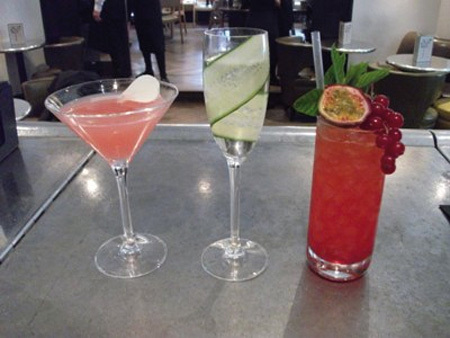 Traffic Stopping Cocktails for London Fashion Week- At The Botanist; Sloane Square. 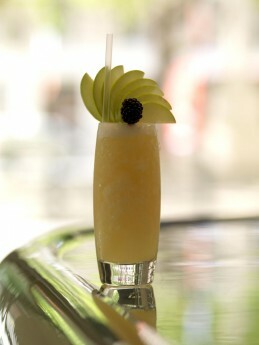 This season’s must-have collection of seriously in-vogue cocktails will soon arrive for London Fashion Week. Chief mixologist, Paulo Brammer will showcase his finest creations on The Botanist’s very own ‘catwalk’ bar, inviting you to take a front row seat to sample some of this fall’s most fabulous flavours. Opt for a classic Stella McCartney - simply bursting with ingredients from the English country garden, this couture tipple is made from Beefeater 24 gin together with a rose bud syrup, fresh pomegranate and pink grapefruit; all perfectly tailored to a martini glass and topped with a white rose petal. The elegant Victoria Beckham is a ‘posh’ number combining Hendrick’s gin, Lillet Blanc, St. Germain liqueur topped with slim-line tonic, poured fittingly into a flute and garnished with slice of cucumber. 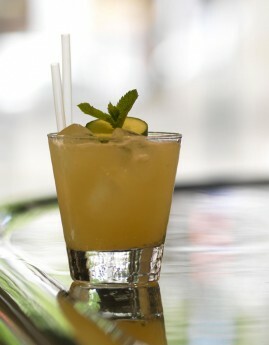 Finally, if you’d prefer something a little ‘alternative’ make a bold cocktail statement with the Vivienne Westwood. This sweet yet sour aperitif blends together Sipsmith vodka, passion fruit, fresh lime and a dash of Chambord. Served in a crystal glass, this striking ruby concoction is complemented by a green mint and bright red cherry garnish. For the ultimate in fashionable cocktails, grab your Balenciaga and dash down here as fast as your Louboutins can carry you! 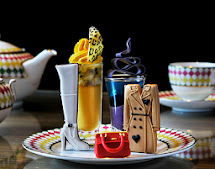 Fashion Cocktails at The Four Seasons London!